"Someone must have been slandering Joseph K, because one morning, without having done anything wrong, he was suddenly arrested." The Trial is a graphic adaptation of Franz Kafka's famous novel, illustrated by one of France's leading graphic artists, Chantal Montellier. Montellier brilliantly captures both the menace and the humor of Kafka's utterly unique masterwork. This d "Someone must have been slandering Joseph K, because one morning, without having done anything wrong, he was suddenly arrested." 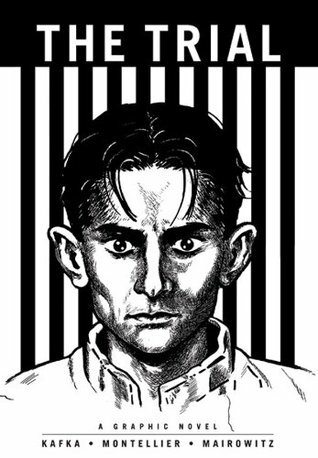 The Trial is a graphic adaptation of Franz Kafka's famous novel, illustrated by one of France's leading graphic artists, Chantal Montellier. Montellier brilliantly captures both the menace and the humor of Kafka's utterly unique masterwork. This darkly humorous tale follows Joseph K, who is arrested one morning for unexplained reasons and forced to struggle against an absurd judicial process. K finds himself thrown from one disorientating encounter to the next as he becomes increasingly desperate to prove his innocence in the face of unknown charges. In its stark portrayal of an authoritarian bureaucracy trampling over the lives of its estranged citizens, The Trial is as relevant today as ever.